This species occurs throughout British Columbia; it also occurs east to Newfoundland and south to California. The spruce tip moth is a common, solitary defoliator. Not known to reach outbreak proportions. 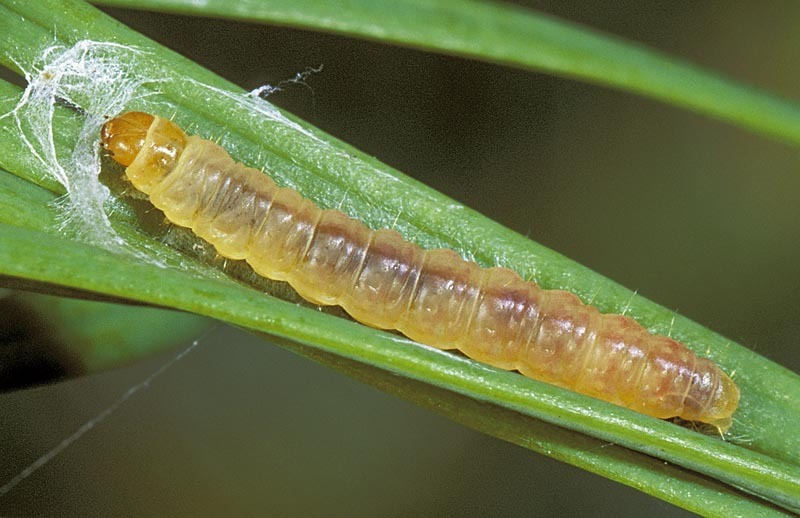 Mature larva to 9 mm long. Head, unmarked brown. Body, pale yellow to reddish pink above spiracular line and creamy yellow below. Diffuse orange brown to orange red middorsal and subdorsal stripes (more visible on pale specimens). This insect overwinters in the egg stage. The eggs are laid singly at the base of the needles. Freshly laid eggs are pale green in colour but change to a yellowish orange after a few days. 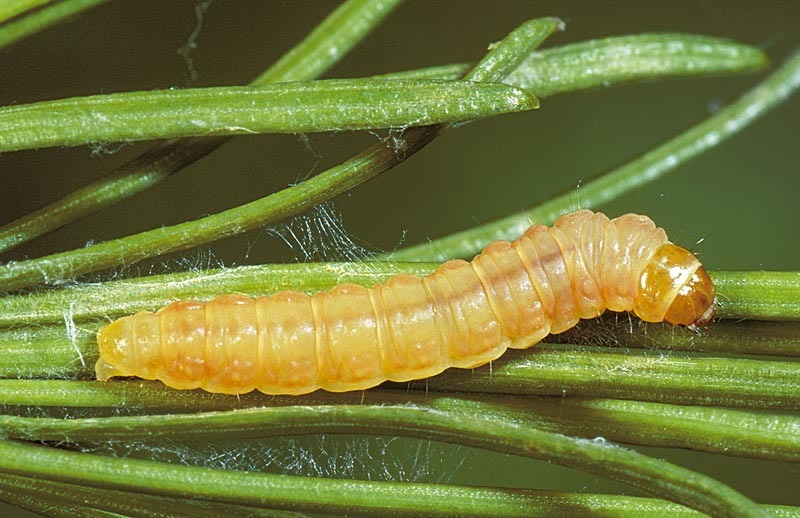 Larvae appear in late May and feed on the current year’s foliage until early July. There are five larval instars. 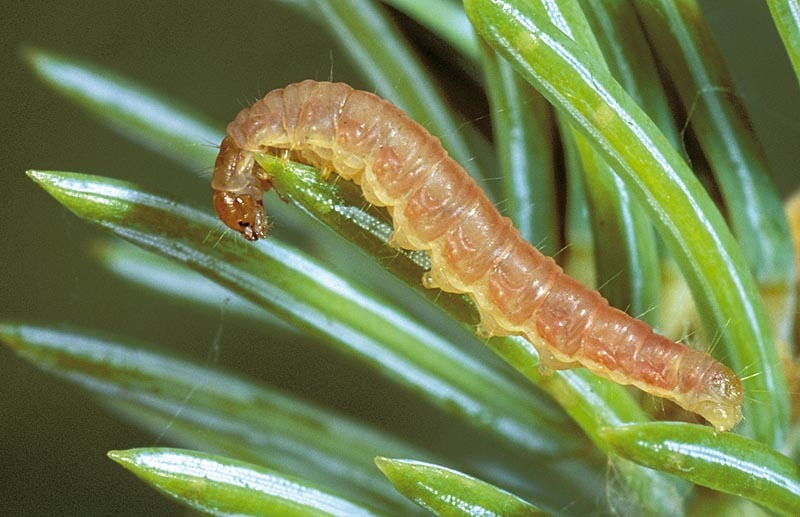 Larvae drop to the ground to spin cocoons and pupate or remain in the trees and pupate under the bud caps of the host. The pupal stage lasts approximately three weeks. Adults emerge in August and September. They lay their eggs after approximately seven days. Free-living defoliator: Feeds on and moves about freely on foliage. 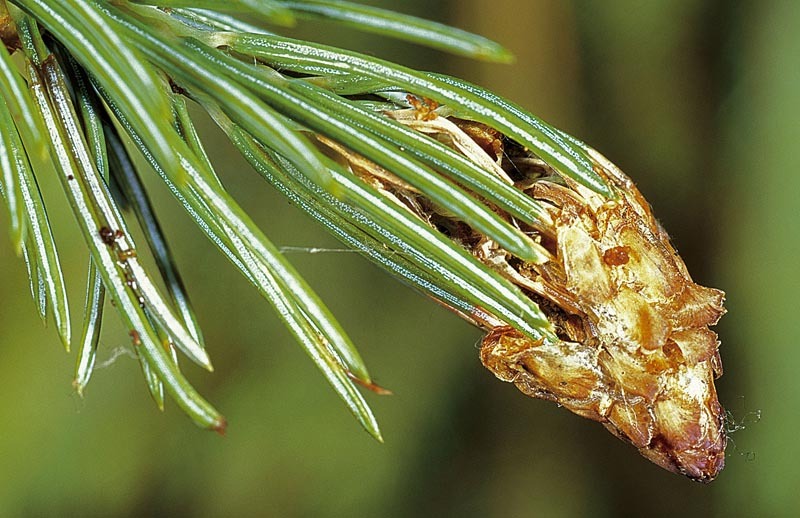 The principal hosts of the spruce tip moth are Engelmann spruce, white spruce and Douglas-fir; other hosts include subalpine fir, grand fir, Sitka spruce and black spruce.